Home » Altcoins » What Is NavCoin Coin (NAV)? NavCoin Coin – The cryptocurrency. Based on a solid foundation, NavCoin Coin supports SegWit functionality and easy-to-use wallets with advanced data protection features. NavTech technology gives users the ability to choose private transactions that protect their data and identity while making online purchases. From its humble beginnings in 2014, NavCoin Coin has developed into the third-best performance cryptocurrency of 2016, with the Nav community having friendly, supportive and active participants working to improve the NavCoin Coin. NavCoin Coin is always updated with the latest versions of Bitcoin, which means that the coin gets the same benefits. NAVTech is the dual blockchain system for sending private Nav Coin payments. 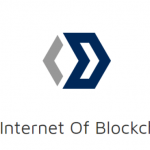 Mostly, the transaction information is encrypted and sent through a second block chain, which ultimately breaks any connection between the two addresses. The system is easy to use and comes pre-configured in the latest Wallet. It is open source and decentralised. Anyone can set up their servers or use Nav’s own. The company has set up many features for 2017. Here are some already realised projects. The NAVTech Wallet combines the NavCoin Coin, Subchain and NavTech in a single wallet. The network becomes a fully decentralised mesh network. Nav uses Anon dApps to investigate ways to develop decentralised application platforms. The NAVTech Polymorph is a partnership with the Challengelly stock exchange. This guarantees anonymous payments and offers the possibility to trade between 25 listed cryptocurrencies. The platform also offers fast transaction times. There is no need to wait 10 minutes for a transaction. Transactions are executed within 30 seconds. The Nav Wallet also has a stacking mode. This way, users can earn up to 5% of revenue while not using the wallet. This supports the proof-of-stake and ensures higher network security. The NavCoin Coin Core Wallet is easy to use. It has been carefully refined to make it intuitive and easy to use. It comes with a setup wizard and everything the user needs to load the blockchain and send the transactions in a secure environment. Users can send encrypted private transactions via the Dual Blockchain NAVTech system. Making a secret payment is secure. While Bitcoin is usually associated with privacy, the reality is that it is very public and easily understood. This is where NavCoin Coin comes in. Proof-of-stake mining also does not require expensive hardware or server farms to get involved. This is possible from any computer, which makes mining energy efficient. Financial privacy is one of the cornerstones of any democracy. Without financial privacy, there can be no freedom of speech within a monetarised society. The NavCoin Coin of the Navtech system offers users an easy way to protect their financial privacy. It is easy to use, and transactions are implemented quickly. Processes anonymise the transactions with a secondary blockchain, known as the subchain. Fast confirmation times and borderless transactions make NavCoin Coin the ideal partner for modern international private value transfers. You can’t buy it directly for fiat on any exchange. You can choose the best crypto exchange for your region and but BTC there, then trade it for NAV on exchanges. Learn here how you can instantly convert altcoins to bitcoin and vice versa. If your country is not available on Coinbase – also check for exchanges that are good Coinbase alternatives (such as above-mentioned Cexio and Indacoin – see here for Indacoin review) and buy BTC on one of those exchanges. You can always exchange your coins on Changelly (see if Changelly is legit), instantly and directly to BTC. 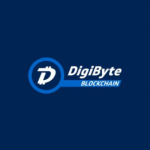 What Is DigiByte Coin (DGB)?